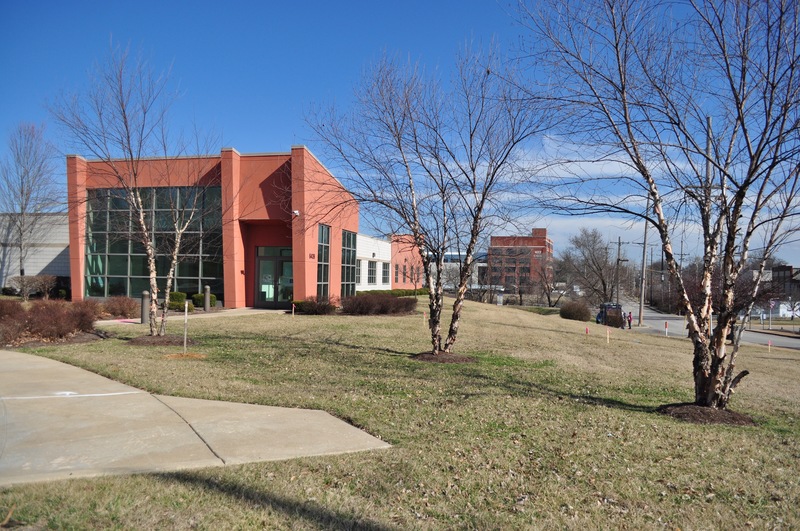 The Wellston MetroLink Station is already home to thriving transit-oriented developments, including the Early Explorers Child Development Academy and STLVentureWorks, an enterprise center for small businesses and startups. Now, plans are underway to expand the STLVentureWorks facility and provide more resources and space to small business ventures. Spurred by a $2 million grant from the U.S. Economic Development Administration, the expansion project will result in the addition of 9,000 square feet, six new offices, seven spaces for manufacturing equipment, two conference rooms and a coffee bar. The STLVentureWorks facility is part of five regional business incubators run by the St. Louis Economic Development Partnership. The expansion was designed by Atelier3Design, a business that was established in 2010 out of the STLVentureWorks facility. With the St. Louis County and Municipal Police Academy and the Met Center training facility providing a foundation for the Wellston MetroLink Station, the nearby area has also seen an increased investment of public services and job training facilities. Additionally, Great Rivers Greenway is continuing work to expand the St. Vincent Greenway, a bike and pedestrian trail, which will run through the Wellston station area to connect Forest Park to UMSL and the North Hanley MetroLink Station. These investments and developments show how connecting services, jobs and public transit can support accessibility and economic growth at Wellston and throughout the region. When can metro employees wear their summer uniforms? Fred, the switch to summer uniforms happens on the first Monday of May each year. So, this year, employees may switch to summer uniforms on Monday, May 1.